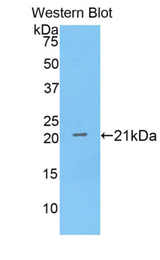 Annexin IV antibody LS-C304176 is an FITC-conjugated rabbit polyclonal antibody to pig Annexin IV (ANXA4). Validated for WB. Recombinant ANXA4 (Phe146-Lys309) expressed in E. coli.